For family law-related concerns such as child custody or divorce, it is crucial to have a good family law attorney which you can trust in Wake Forest on your side. A family law attorney in Wake Forest will play an important role in the outcome of your case. 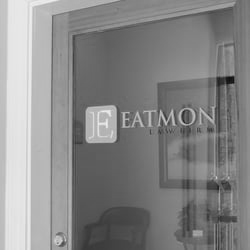 If you are looking for a family law attorney in Wake Forest, turn to reliable firms you can trust like Eatmon Law Firm. We are dedicated to providing legal services to clients in Wake, Durham, Franklin, and Granville Counties. Christine S. Eatmon, our family law attorney in Wake Forest, handles every case professionally and effectively. She is also an NC board-certified family law specialist and an attorney you can trust. Ask your friends or colleagues for recommendations for a family law attorney in Wake Forest. You may inquire about how the family law attorney in Wake Forest handled their case. Apart from referrals from your circle, you may also consider an attorney who is well respected in his or her professional community. You may have to disclose personal details to a family law attorney in Wake Forest. Look for a family law attorney in Wake Forest who shows empathy as well as genuine interest in your situation. Hire a family law attorney in Wake Forest who will prioritize the concerns of your family. A sympathetic family law attorney in Wake Forest will closely look into your case and work hard to help you get favorable results. At Eatmon Law Firm, our family law attorney in Wake Forest will listen intently to your situation to know the best course of action. Our family law attorney in Wake Forest will provide you with different options and help you make a sound decision. Note that we do not conduct legal advice over the phone or email prior to the first appointment. Hire a family law attorney in Wake Forest that has reasonable rates. At Eatmon Law Firm, we charge by the hour for our services for most of our practice areas. We do not quote exact fees since we cannot foresee how many hours will be allocated for every case. However, for absolute divorce, name change, and power of attorney, our family law attorney in Wake Forest charges flat fees. For a family law attorney, Wake Forest residents can call us at (919) 435-0565. Our office is located at 1788 Heritage Center Drive, Suite 204, Wake Forest, NC 27587. We are open from Monday through Thursday, 8:30 a.m. to 5:00 p.m., and on Friday, from 8:30 a.m. to 1:00 p.m. Individuals who are looking for a family law attorney in Wake Forest can also set up evening and Saturday appointments. Our family law attorney in Wake Forest looks forward to serving you. Legal and physical child custody as well as financial support of child are the most common issues divorcing couples encounter in relation to their children. At Eatmon Law Firm, we understand these areas and what is at stake when children are involved. We do our best to achieve the best outcome for your family.